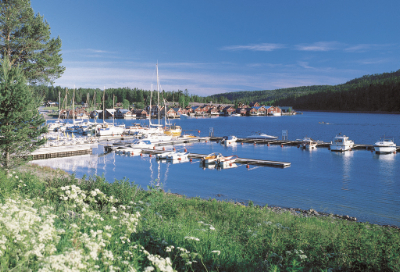 By Norrfällsviken fishing village on the High Coast, approx 30 km from the E4. Exit Gallsäter or Ullånger. 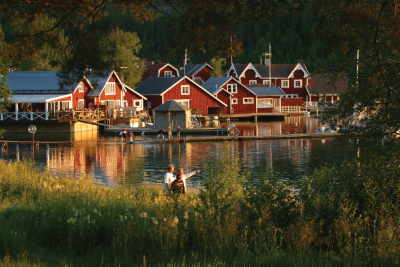 Enjoy the sea and fantastic nature at our holiday centre in the heart of the UNESCO World Heritage site, the High Coast. It’s a perfect location for excursions to the High Coast Bridge, Mannaminne, etc. 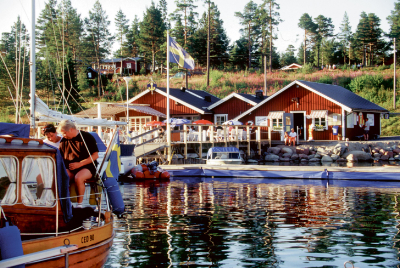 Daily tour boats to the ‘fermented herring’ island of Ulvön. Newly built reception, information about the World Heritage site on film, los of material on places to visit, webcam, IT, fax and telephone. Enjoy a tasty dinner on the bridge at Restaurang Fiskafänget in the fishing village or at Restaurang Kompassen on the marina. 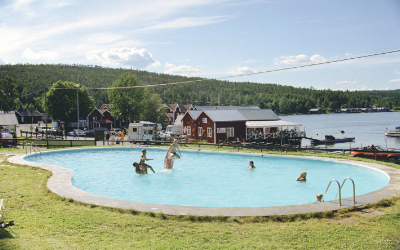 The many activities include the best seaside swimming on Norrland’s coast, pool, minigolf, 18-hole golf course, tennis courts, cycle hire, and boat hire for lovely excursions in the archipelago. 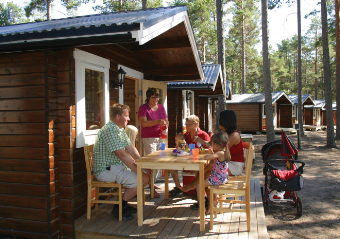 For the little ones, there is Djurens Sommarhage (animal pen), film shows and leader-led activities. End the evening with a booking at our spa bath by the marina or a wood-fired sauna and wilderness bath out on the cape. 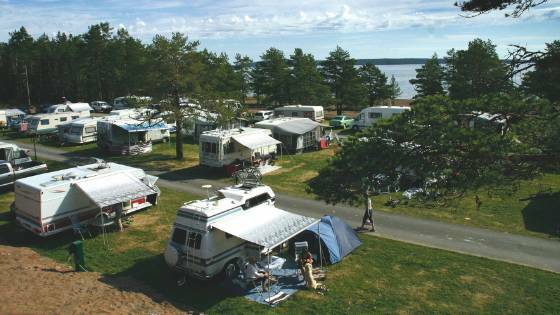 New caravan pitches ‘Deluxe’ by the sea with electricity, water, waste, cable TV and wireless Internet. Welcome to the High Coast! 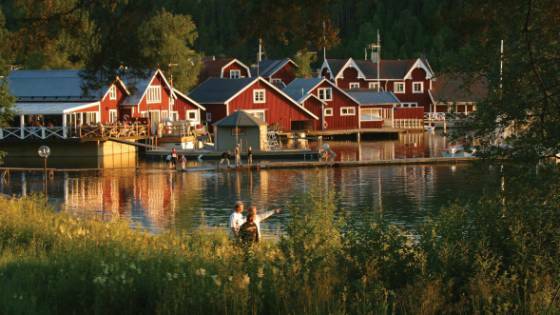 16 large cottages where 4-6 people can stay. A fully equipped kitchenette for 6 people, cooker, oven, fridge, table, chairs, TV. Shower and toilet in each cottage and also a patio. 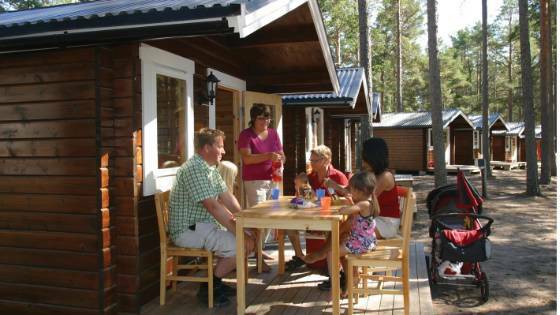 Four of the cottages are handicap-friendly and one is allergy-adapted. Pets are permitted in all the cottages except for the allergy-adapted one. The over-night cottage are situated at the campsite has one room with two bunks, fridge, hotplate, table and chairs + basic equipment. There is running water in the cottage, however guests must use the campsite's service building for washing up, toilets and shower. 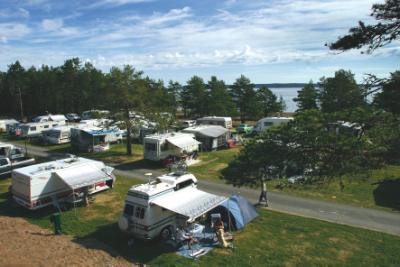 Norrfällsvikens Camping is located by a beautiful fishing camp along the High Coast. There are pitches here for caravans, motorhomes and tents, with or without electricity. In addition there are new "deluxe" caravan sites by the sea with electricity, water, sewer, cable TV and wireless Internet. 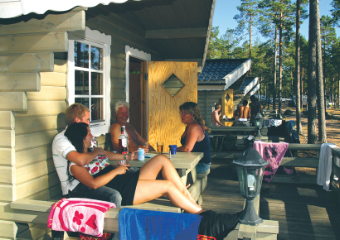 Norrfällsvikens Camping, Stugby & Marina offers excellent hotel rooms by the marina. 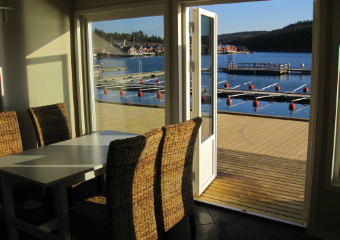 High-standard accommodations only 2-3 metres from the water that include bed linens, cleaning and breakfast. 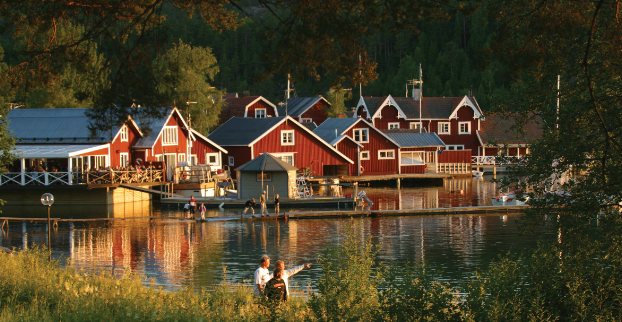 The rooms are located in boathouses in "Bryggbyn". 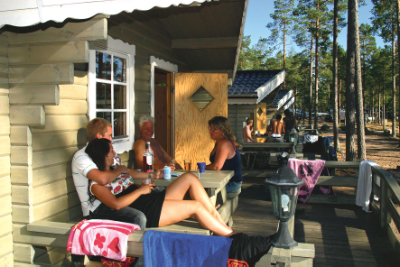 Norrfällsvikens Camping, Stugby & Marina has beautifully situated cottages with a wonderful view of the marina. 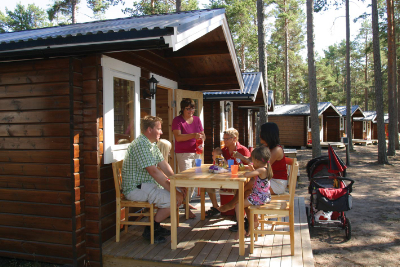 There are several different types of cottages, everything from more basic overnight cottages without showers and WCs to self-catering cottages meeting high standards.